Weight: 1.38 g., 19 mm. 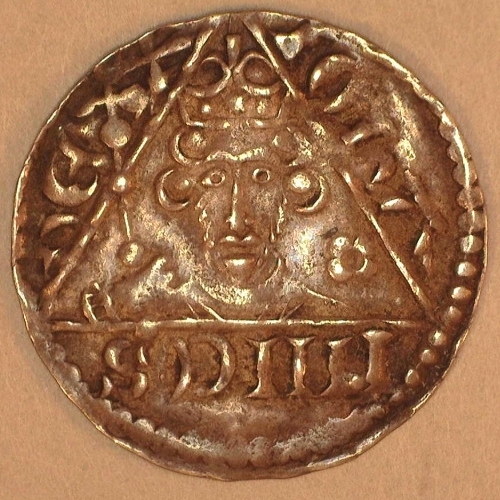 King John, 3rd Rex coinage, c. 1207 -1211. 1.38 g., 19 mm. S.6228; DF 50. A silver penny, Dublin mint. Obv. 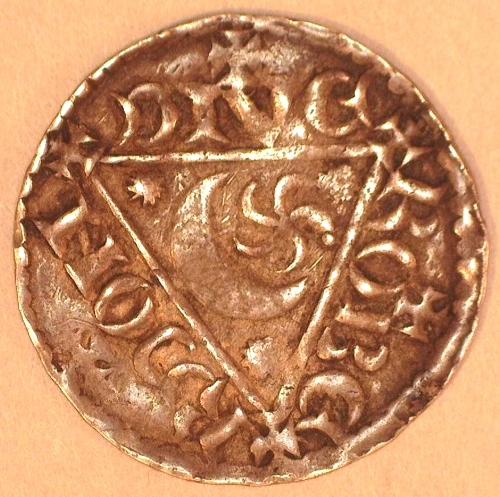 IOHA NNES REX, Crowned bust King John w/sceptre in triangle, rev. sun, moon, and 3 stars within triangle, 6 crosses around. ROBE RDON DIVE. Sharply struck with all legends and devices intact and centered. Well detailed with excellent surfaces. Good Very Fine or better. $600.